Chromebooks are the alternative to Windows-powered notebooks which offers fast, easy-to-use, and secure experience. Chromebooks’ functions and features tend to rely heavily on internet access having cloud-based Google applications. However, internet access through Wi-Fi access point isn’t always available. 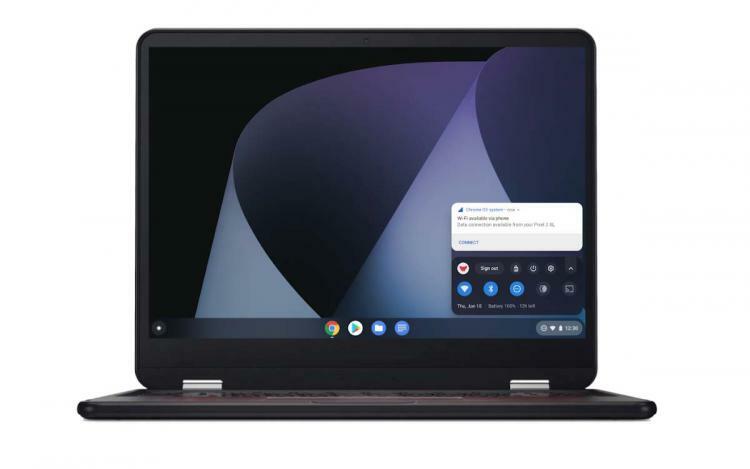 Today, Google is bringing Instant Tethering to Chromebooks where you can pair an Android smartphone’s network connection to access the internet. Contrary to using a smartphone’s hotspot that requires multiple steps to function, Instant Tethering is a one-click set-up process allowing your Chromebook to access the internet in a jiffy. When the Chromebook detects no available Wi-Fi access point, it automatically suggests connection through your smartphone and activating the Instant Tethering function only requires the user to click “Connect”. Instant Tethering also conserves the power of your smartphone and Chromebook by automatically disconnecting after 10 minutes without activity. Instant Tethering was first made available to Pixelbooks and Pixel Slates paired with Pixel and Nexus phones only. Today, Instant Tethering will be made available to 15 Chromebook models and other 30 Android smartphone models. Google will continue developing this feature to allow more Chromebook and Android phone models to support Instant Tethering. Find out if your device supports Instant Tethering here.